Free Viewer » Blog » How to Migrate Outlook Express to Outlook? How to Migrate Outlook Express to Outlook? In the huge domain of email clients, Outlook Express a name that will always be known for its HTML emails and scripts. Microsoft Outlook Express a generally used email client in its time, was introduced with Internet Explore from version 4.0 to 6.0. It was also a part of some Windows OS versions Such as 98 to 2003, 3.x, NT 3.51, Windows 95, and Mac OS 9. In this blog, we have followed the process to convert Outlook Express to Outlook by the manual method. First, we have export complete mailbox from Outlook Express then import to Outlook. Step 1. 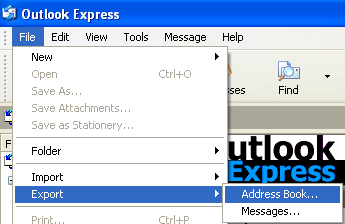 Open MS Outlook Express. Step 2. Go to File menu. Step 3. Select Export option. Step 4. Select Messages to export. Step 5. Save .dbx file into desired location. 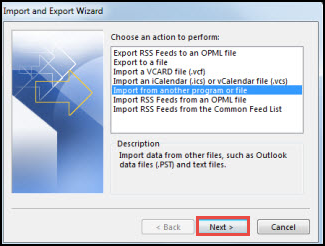 This is the manual steps to export mailbox from Outlook Express then you need to export Outlook Express to Outlook by using conversion tool. After converting Outlook Express DBX file to PST format follow the next approach to importing PST file into MS Outlook. Step 1. Open Microsoft Outlook 2013 or 2016 edition. Step 2. Go to File → Open & Export → Import/Export. Step 3. Select Import from another program or file option then clicks on Next. Step 4. Open converted PST file by Browse button. Step 5. In next windows click on Finish button to complete the process. After the completion of the process, a user can easily access Outlook Express emails in MS Outlook 2013 and 2016. In this informative blog, we have enclosed how to export emails from Outlook Express and import emails into Outlook by manual approaches. We have also use a tool to convert Outlook Express to Outlook PST file format.